Ivanka Trump and husband Jared Kushner were photographed returning home on Tuesday with their newborn son, Theodore James Kushner, in New York City. The new mom looked radiant in a red floral dress as she walked behind her husband, who carried their new baby. 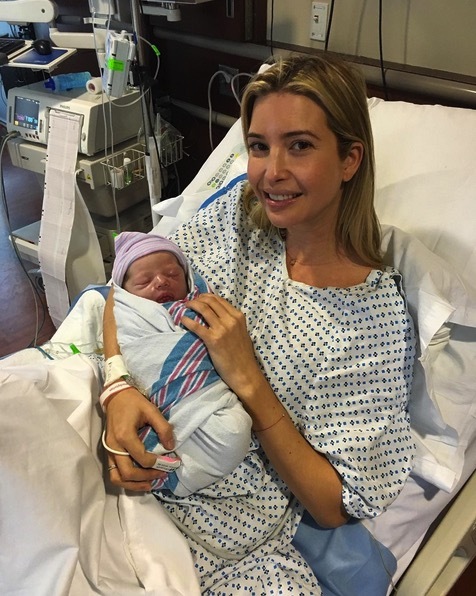 Theodore is also the 8th grandchild for Ivanka’s father – Presidential Candidate Donald Trump. He joins Ivanka and Jared’s two older children Arabella Rose, 4, and Joseph Frederick, 2.